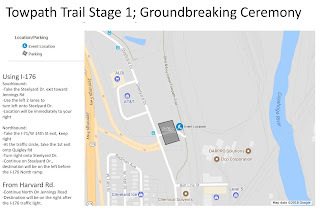 The public is invited to join Canalway Partners for a Groundbreaking Ceremony for the Towpath Trail Stage 1. BYOS (Bring Your Own Shovel) to participate in the photo opportunity! 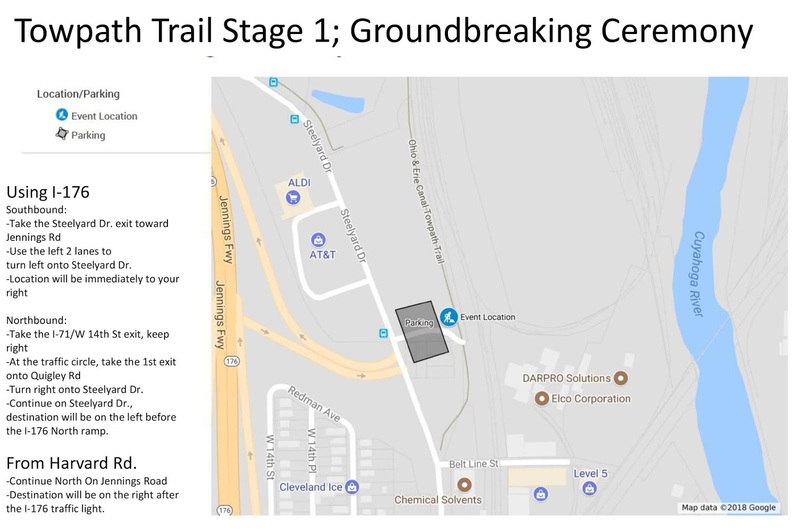 The Towpath Trail Stage 1 will connect the Harvard Road trailhead to Steelyard Commons, a 0.7-mile stretch that has been in the planning process for many years.